In Dungeons & Golf World, they can be really good clubs. Why don't you try them for FREE? 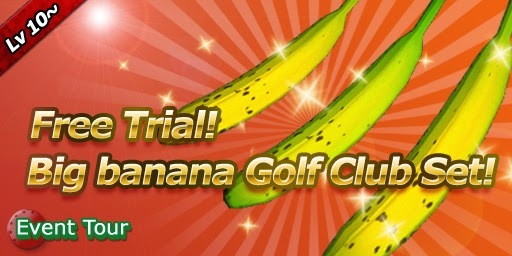 The winner's prize is Big banana Golf Club Set. The all-birdie prize is 1 Iron Bunker. 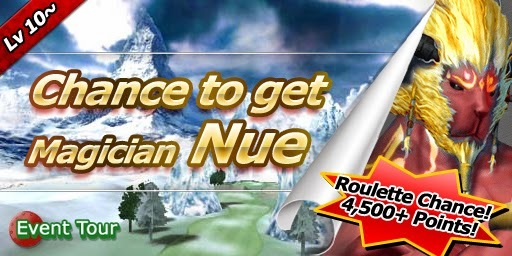 Get 4,500+ points and then you can see Magician Nue will be on the roulette! The winner's prize is Muramasa’s Golf Club Set. The all-birdie prize is 2 Wind Shields.